Since Bajwa, President PPCC was given a free hand to go ahead for finalizing the list of office bearers now seeing the revolt like situation in Punjab, Shakeel Ahmed, AICC General Secretary, a representative of High Command has come to the rescue of Punjab President, to review the list. Going little back to history of earlier difference of opinion among the Congress leaders in Punjab, it is four months back when during October 2013, the Congress High Command had organized a lunch to sort out the difference among the state leaders and pledge unity in the interest of the party ahead of Lok Sabha elections in 2014. 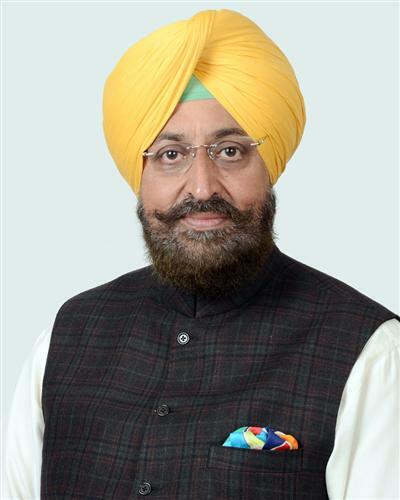 Partap Singh Bajwa, President PPCC had said at that time that all had pledged to work together for the party to ensure maximum seats for the Congress in the next elections with a common goal to make Rahul Gandhi the next PM of India. Even it was decided to this extent that they will be meeting every week and one of them will host a lunch or dinner by rotation. But now with quitting of various Congress leaders, showing resentment over the newly constituted PPCC, all efforts have failed to satisfy each one. Prominent among those who resigned are Rana Gurjeet Singh MLA from Kapurthala, Ramajit Singh Sikki, Khadoor Sahib MLA, Harjit Singh Parmar, former Kapurthala DCC Chief, Col Babu Singh (Retd.) fromer Moga DCC President, Amrik Singh Dhillon, 3-time legislator from Samrala, Isher Singh Meharban, former minister in the Pb.Govt. and recently Dr.Mohinder Kumar Rinwa, 2-time MLA from Fazilka alongwith Malkit Singh Heera, who contested election against Sukhbir Singh Badal from Jalalabad. Malkit Singh Heera has even threatened to sit on hunger strike from Jan.10 to press to withdrawn names who opposed him during assembly election and rectify the list. Not only this, he has also announced to sit on ‘fast-unto-death’ in case no decision is taken by the High Command. Ripjit Singh Brar former Kot Kapura MLA, who is also the brother of senior Congress leader Jagmeet Singh Brar, has accused Bajwa of intentionally misguiding the High Command for clearance of list prepared by him. The main resentment among the Congress leaders is that loyal leaders have been ignored in the recently released list whereas rebels and political turncoats have been rewarded. Apart from this, there is no proper representation to all categories like Ramgarhias, Agarwals and OBCs. The Congress High Command has warned the state leaders against making their concerns public in view of growing rebellion in the Punjab Congress, over the recently announced Pradesh Congress list but the growing rebellion trend in Punjab Congress is a matter of serious concerned and should not be taken lightly. Going by the statement of Bajwa itself that there had been some mistakes, which he is ready to review and rectify on the directions of High Command but he should disclose the sources of doing so which is nothing but to tarnish the image of the party. There is no harm in tryng, if all the senior leaders showing a gesture of good-will give chance to the youths to lead the party in the coming Lok Sabha elections, with all the new faces, with full open support from the back by all the local Congress leaders. Frankly speaking, merely hosting parties to sort out the differences, giving statements by the senior leaders on behalf of Congress High Command would not suffice; there is need to bring change in the mind-set of the leaders to think broadly in the party’s interest keeping aside the ego and misunderstanding. So far as Punjab is concerned, Congress has already suffered a loss and because of differences among the party leaders itself, the Akali-BJP government has come into power for the second term.